The drug is the dried or fresh whole herb or rhizome of Neolepisorus deltoidea (Bak.) 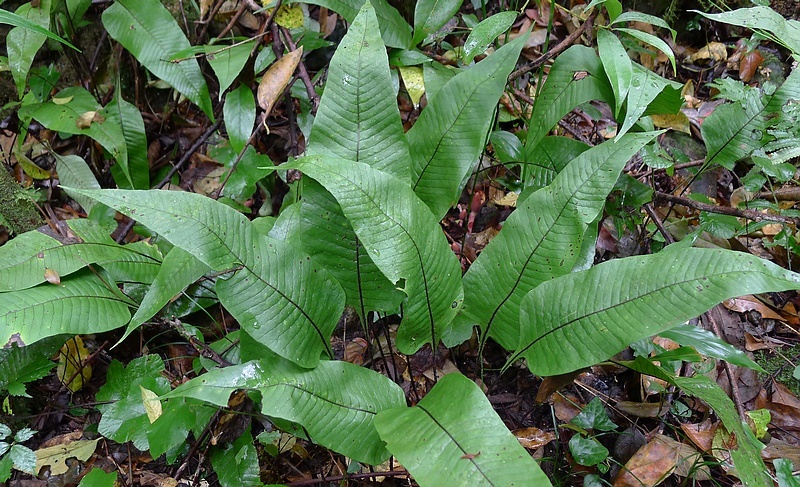 Ching (Family Polypodiaceae), growing in shade of woods on hillslopes or in rocky crack, along strcams, distributed in Shaanxi, Gansu, Anhui, Zhejiang, Jiangxi, Fujian, Taiwan, Hubei, Guangdong, Guangxi, Guizhou, Si chuan and Yunnan of China. Bitter, cool; heart, lung and bladder meridians entered. Clear heat, induce diuresis, stop bleeding, remove toxicity. Hematemesis, sores and boils, scalds and burns, traumatic bleeding, difficult urination, hemoptysis caused by tuberculosis, heat stranguria, hematuria.